This ticket is a free ticket for the Film Screening of Hocus Pocus before the club event. This ticket does not guarantee you're a seat at the screening, however, give you priority over non-ticket holders. Please make sure all tickets are printed and brought to the venue. Come, little children, we’ll take you away … into a land of enchantment. 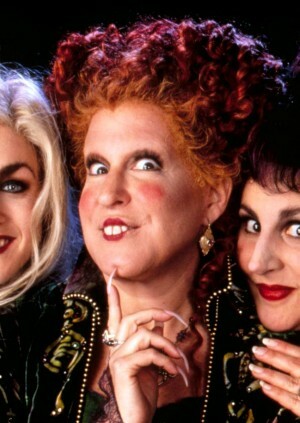 This Halloween the Book Club hosts a Spooktacular favourite, a Hocus Pocus themed club night and film screening. Return to the 90’s sleepovers of your tweens; think broomsticks and hoovers; pumpkins and candies; virgins and vintage SJP. Join us from 4.30pm to sketch the Sanderson sisters with the glorious Art Macabre. With a trio of fantastical models channelling the spirits of these witchy legends, including MOLLY BETH MOROSSA as Sarah, draw to a soundtrack of Halloween classic bewitching tunes. Places limited! BUY A TICKET FOR THE LIVE DRAWING CLASS HERE. From 6.30pm come along for a free film screening and face painting sesh, sipping on a very grown-up mezcal Witch’s Brew or knocking back Binx’s favourite prosecco tipple (from before he was a cat). Look out for a ceiling of witches hats, candles and some spooky surprises all around the Book Club. Join us 8 pm onwards us for an immersive club night ---let us put a spell on you and join the grown-ups for a neverending night out to 90s and 2000s classics!